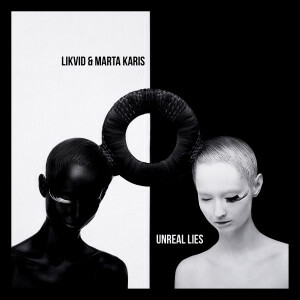 Likvid - Listen to "Unreal Lies". Hear the mysterious and sensual sounds of Marta Einerstam Karis, the Swedish singer has a talent for painting audio stories with her effortless voice, inspired by the tones of Nina Simone, the allure of Bjork and the escapism of Massive Attack. An international collaboration recorded in London at The Mix Room and mastered in LA, Unreal Lies also features lyrics from established wordsmith Chris Porter, who has worked with many global artists. Jump into the atmospheric mood of Unreal Lies over here.